Edmond Taylor was a journalist who published The Strategy of Terror in 1939. 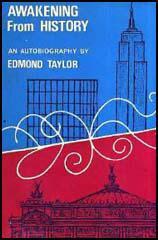 Donald Chase Downes, in his autobiography, The Scarlett Thread (1953) argues that it was Taylor's book that inspired him to join the British Security Coordination: "I suppose it was Edmond Taylor who led me into my five years' career of paralegal crime. In 1939 he had published The Strategy of Terror, which described how Hitler was deploying a fifth column through all the democratic world and by paralysing the will to resist. I read the book over and over; it explained all the things I had seen on my recent trips to Europe." Ernest Cuneo, who worked for British Security Coordination (BSC) made contact with Taylor. Jennet Conant, the author of The Irregulars: Roald Dahl and the British Spy Ring in Wartime Washington (2008) argues that he was "empowered to feed select British intelligence items about Nazi sympathizers and subversives" to friendly journalists such as Taylor, Walter Winchell, Drew Pearson, Walter Lippman, Dorothy Thompson, Vincent Sheean, Raymond Gram Swing, Edward Murrow, Eric Sevareid, Edgar Ansel Mowrer, Ralph Ingersoll, and Whitelaw Reid, who "were stealth operatives in their campaign against Britain's enemies in America". Taylor admitted to what he did for the BSC via his contact with Robert E. Sherwood, in his autobiography, Awakening from History (1971): "The propaganda wing, called the Foreign Information Service, was to be headed by Robert E. Sherwood, the noted playwright and one of President Roosevelt's most talented speech writers. I knew Sherwood slightly, from some of the overlapping interventionist committees with which we were both connected, and admired him greatly." Percy Winner has argued on the publication of Taylor's Richer by Asia (1947): "Edmond Taylor is an intelligent, sensitive, political journalist who, after some fifteen years as a correspondent in France, served during the war as an expert in cloak-and-dagger psychological warfare, then spent several years in India. 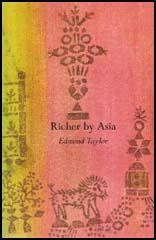 Richer by Asia is an interesting, colorful description of how, personally enriched by his experiences in the East and by the introspection they induced, Mr. Taylor became an ardent and eloquent missionary for the concept of one world not only as a universal political goal but as the specific means of the western individual's personal psychological integration." I suppose it was Edmond Taylor who led me into my five years' career of paralegal crime. In 1939 he had published The Strategy of Terror, which described how Hitler was deploying a fifth column through all the democratic world and by paralysing the will to resist. I read the book over and over; it explained all the things I had seen on my recent trips to Europe. The propaganda wing, called the Foreign Information Service, was to be headed by Robert E. Sherwood, the noted playwright and one of President Roosevelt's most talented speech writers. I knew Sherwood slightly, from some of the overlapping interventionist committees with which we were both connected, and admired him greatly.